A new ARTBA video gives historical perspective to the contemporary problem of fixing the Highway Trust Fund (HTF) to repair and build the nation’s transportation infrastructure. 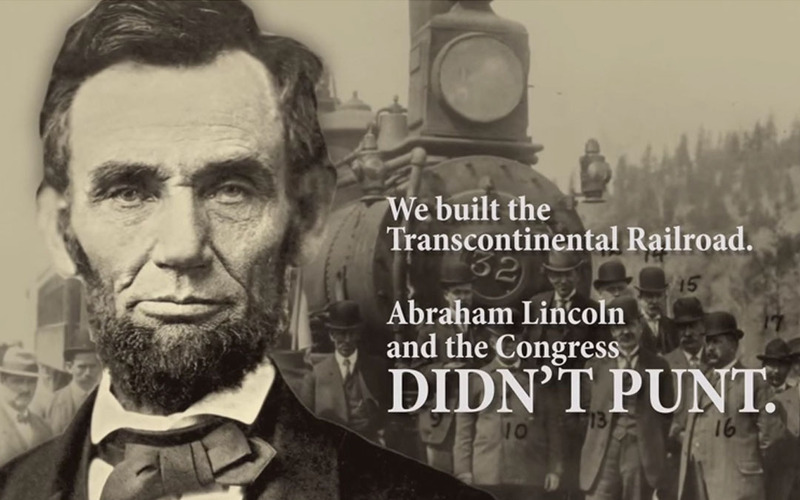 The video shows how five American presidents, working with Congress during their administrations, were able to build important projects such as the C&O Canal, the Transcontinental Railroad, the Panama Canal, the Interstate Highway System and the moon landing. Federal funds from the HTF, on average, pay for 52 percent of state capital outlays for highway and bridge projects annually.